I believe that on a planet far, far away, in a distant galaxy, in a time light years away of the past, I was an actor, director, and producer of higher-consciousness films. So I have a lot to say about the film industry here on Earth. But for now I’ll try to keep this as basic as possible. In this life I did do some professional extra work in my early thirties, but my main thrust was to produce my spiritual music and write my spiritual books, one of which has to do with the movie industry, called The Best Of The Film Industry—Fourth-Dimensional Reviews Of Films, From All Over The World, That You Don’t Want To Miss (BestOfTheFilmIndustry). How about the Academy Awards seating arrangements go by alphabetical order? That would be one way. The second way would be to put all hopeful young actors, under the age of 25, up front. First come, first serve up front. If you sat up front before, you can’t again—no matter if you’re up for another Academy Award. The actor Daniel Kaluuya looks like a nice young man and has potential to be a great actor. But his performance in Get Out was far from the level of the other actors nominated for Best Actor, and a role that thousands of other young actors, who are black, could have done just as well. And the writer Jordon Peele (who I’m sure is a nice human being), who got the Oscar for Best Original Screenplay, compared to the other films nominated is ludicrous. I don’t know what politics are involved here, except they picked a black actor and a black writer because they’re trying to make up for all the past discrimination against black actors and black writers. But this is not the way to do it, as I’m sure there were other black actors and black writers who were more deserving. A film about luring a young black man into a family situation with the intent on murdering him by the family and extended town’s people is not my idea of an Academy-Award-winning team or theme, and certainly it should not have been up for Best Picture. Somebody knew somebody. Oprah, I hope you didn’t have anything to do with this. Thank God that Gary Oldman won for Best Actor, because if he didn’t, I promised God to never watch another Oscar presentation again. I’m always making little promises to the Lord that way, because I made Him that promise 40 years ago: if there wasn’t enough good and decency in the films, actors, writers, and so on nominated, it wasn’t worth watching at all. The good had to override the evil every year. I have to admit, I loved Frances McDormand’s performance in Three Billboards Outside Ebbing, Missouri. I am glad she won Best Actress. Right on, Academy. And Sam Rockwell deserved the Oscar for Best Actor in a Supporting Role, from the same movie. I loved Frances’ dress she wore to accept her Oscar. Wow, what a statement that glamour, cleavage, and legs don’t make for the talent of an actress. She reminds me of many of the no-nonsense girls that I grew up with in my neighborhood of the Hill District in Pittsburgh, Pennsylvania—the same neighborhood that last year they shot Fences in, with Denzel Washington. With the exception of Get Out, I think the nominees this year were well-picked. However, the wet-behind-the-ears teenager Timothée Chalamet—who was nominated for Best Actor—tells me that some politics are involved there too. But I must admit he did a much better job of acting than Daniel Kaluuya and actually had a good script to work with. I guess if the theme of the picture would be about dogs and dog abuse was the national cry, Lassie would win the Oscar. As far as the nominated songs are concerned, I remember when great song writers—like Al Kasha and Joel Hirschhorn in the early 1970s—wrote songs like “The Morning After” and “We May Never Love Like This Again.” I think the music was pretty bad in comparison to past years, which reflects the increasing surfacy glittery performances with not much actual art of significance; I observe that also during the half-time performances of the Super Bowls. Now don’t get me wrong, I like Meryl Streep. She’s a great actress. And I like Denzel Washington. But there are thousands of actors and actresses—not just in Hollywood but all over the United States and world—who can’t get a break or get in the business, who should be able to get into the business, from right where they live. This is not a pipe dream; this will be the reality when the Promised One returns to this planet. My son Amadon—who has been acting since he was 6 years old on stage and just about everyone he meets says he should be in the movies—recently went to an audition with a well-known female casting director in New York, whose name I will leave out—although she deserves to be pointed out for her stinking-thinking philosophy, which basically says if you’re not living in New York or Los Angeles and working minimum wage to support yourself while you’re trying to get in the film industry, you don’t really have the passion or are willing to make the sacrifices. Well why the hell did my son go from Arizona to New York twice to meet with her, if he didn’t have the passion or willingness to sacrifice whatever he was doing at the time? And the first appointment she blew off, even though he went to New York for that appointment. Why she had the second one, I can only scratch my head about, because she treated him terribly disrespectfully, even telling him he should cut his hair—like there are no actors with long hair in the film industry? How come she didn’t have the eye to know he should be in the movies, like hundreds of other people (who don’t call themselves casting directors) noticed? 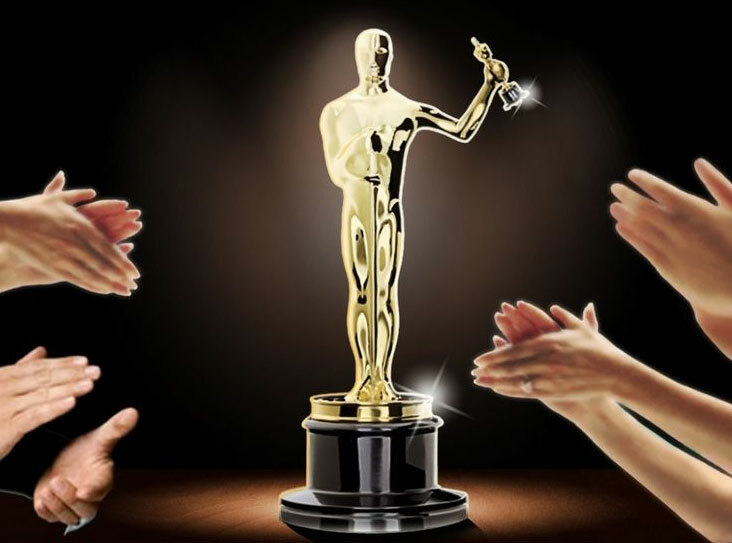 I loved it when a young actor (who looked just like my son) went up to the stage with a group I think, to receive an Oscar. He had his hair in a bun, just like Amadon probably did when he had this interview with Miss Casting Wonderful. And I wouldn’t be able to sleep if I didn’t comment on Jimmy Kimmel’s rude remark to the gentleman who wanted to say something up on stage with a group of people who just won the Best Picture award for The Shape of Water (in which Guillermo del Toro earlier won Best Director for) and they should have let more people speak who obviously had something to do with the production of the picture along with Guillermo del Toro (and I’m sure he would agree). Instead they bring out their silly jet ski prize and did not honor others in that group or give them a chance to honor whoever they wanted to honor (like this gentleman wanted to honor Guillermo himself). Instead, Jimmy Kimmel kind of mocked him. For this, they should not let Kimmel come back next year for sure, and let him do his silly talk show. If they thought they had to bring out that ridiculous jet ski prize, then they should have planned it better and cut some of the stupid antics, like going across the street to the Chinese theater and “honoring” the theater moviegoers. Last year they brought a bus tour group into the Oscars to have them meet the “stars.” How humble of them. The best joke of the night was when Jimmy Kimmel pointed out the elaborate crystals that glistened like the Ziegfeld Follies glitter outfits. I’d like to know if that was written in for him or if he came up with that himself. If he did, kudos to him there. The best presenter team was Tiffany Haddish and Maya Rudolph (yes, Maya Rudolph has black in her). Their downhome black delivery made everybody laugh, even the people who lost money on Wall Street that day. If you didn’t see their skit, go online and do yourself a favor (https://www.youtube.com/watch?v=9p3pmj-LWRc). I think if all cities in every state would reduce their tax incentives and don’t make it so expensive to make films in their states, that alone will give thousands of actors and actresses an opportunity to audition for films in their local areas. Old Tucson used to shoot a lot of cowboy films before the taxes were raised to chase the film industry away. How stupid. We need to bring Westerns back to Arizona for sure. Again, young people with talent and a dream should not have to leave their families to beat the streets in a strange big city and work minimum wage to get into the film or music industries. Remember the John Voight character in Midnight Cowboy and what happened to him? Many young people who go to L.A. and New York end up in prostitution. If you’re a hopeful actor or actress, please contact us at Actors-And-Actresses-Who-Need-To-Be-Seen Network℠ via Global Change Media. We are in our infancy with this new organization but the more minds that come together, the better. If you are a musician, presently in a band or not or a solo artist, contact us at the Musicians-That-Need-To-Be-Heard Network℠ (musiciansnet.org). We are further along in this endeavor and have a state-of-the-art recording studio (Future Studios futurestudios.org) with video production, and much more, including a performance venue in Tucson, Arizona (called The Sea Of Glass — Center For The Arts theseaofglass.org) as well as KVAN 91.7 and KVAN.FM (Google worldwide)—Visionary Radio. This performance venue enables musicians to perform and actors and actresses to join our Global Change Theater Company. We want to start out with small film productions, with the goal of a major movie. Presently we are doing a documentary and looking for young people in all areas of the film industry.